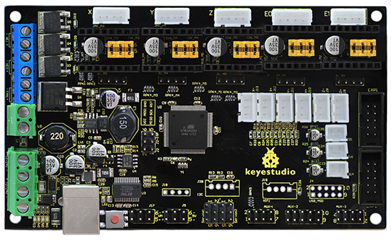 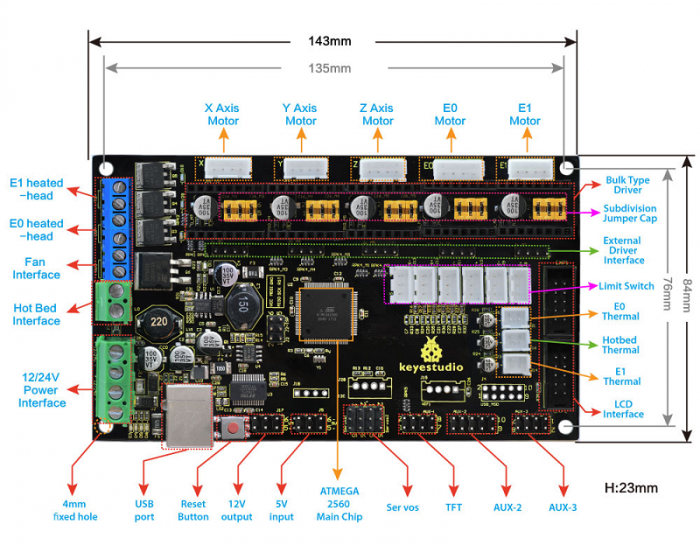 Keyestudio 3D MKS Gen V1.4 printer motherboard control board combines and improves the assets solutionof the RAMPS 1.4 and Arduino Mega 2560 board on a fantastic single board. 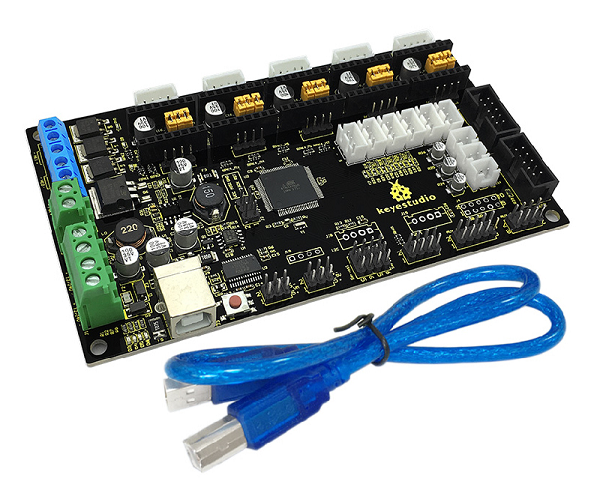 Integrate 2560 and ramps1.4 in a board, to solve thecomplicated interfaces and broken problem of Ramps1.4 combination. 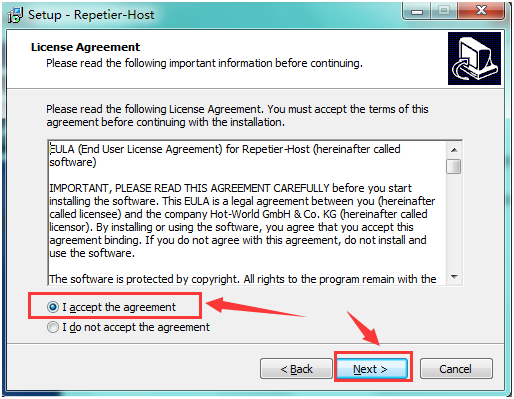 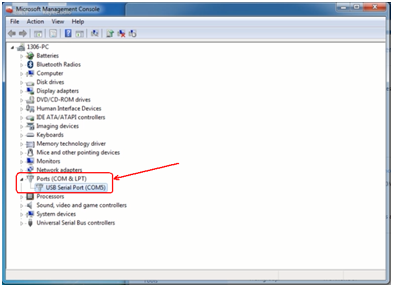 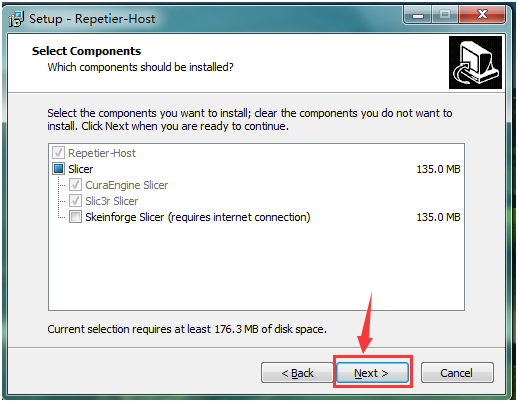 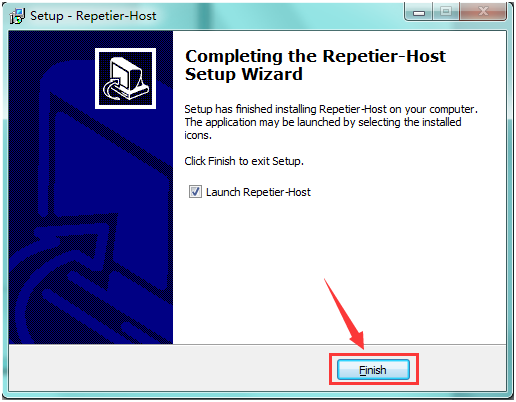 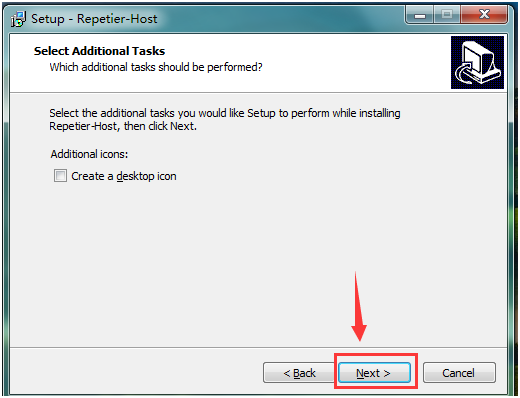 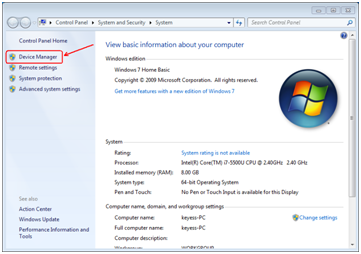 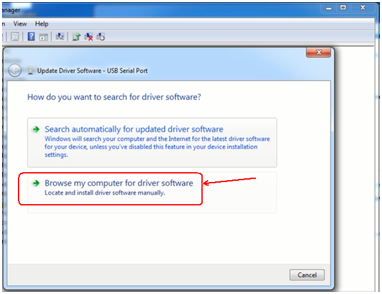 Connect the main board with computer, and then right click “Computer” to enter “Device Manage”. 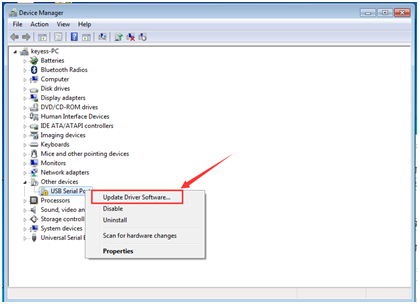 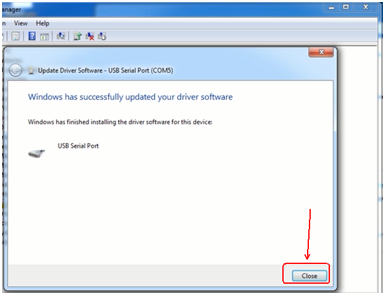 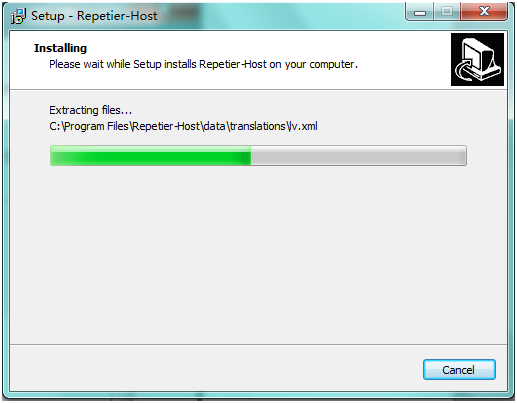 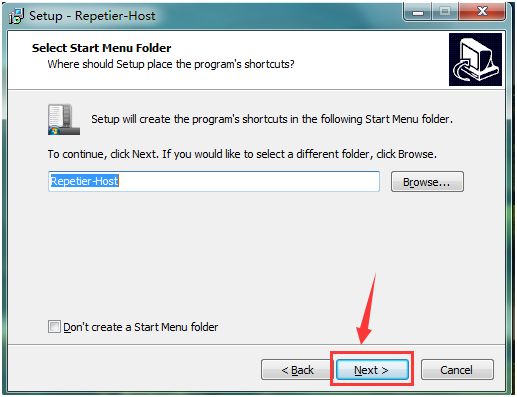 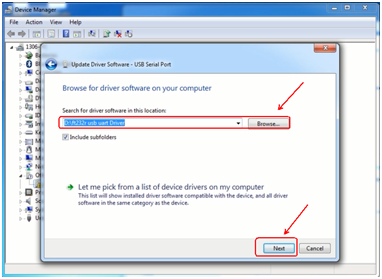 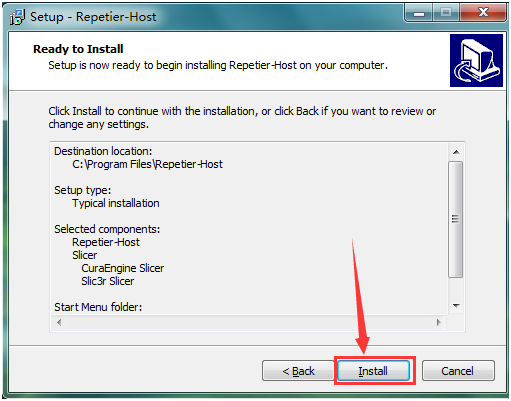 Double click “Other devices”, appearing “USB Serial Port”. 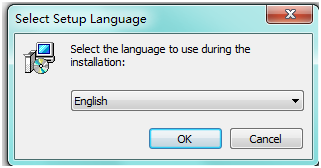 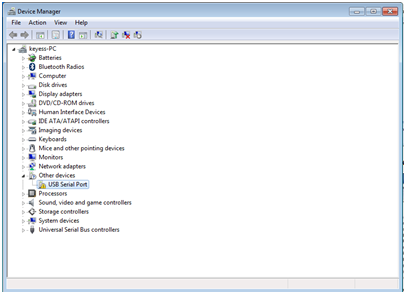 Finally, installation is done, and double click “Ports”in “Device Manager”, you can see “USB Serial Port”. 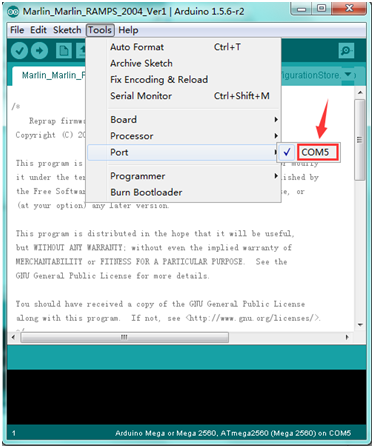 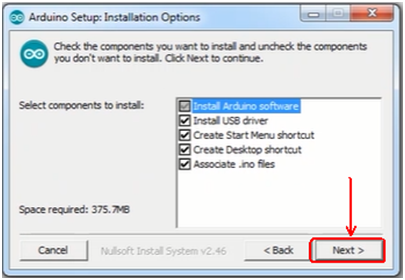 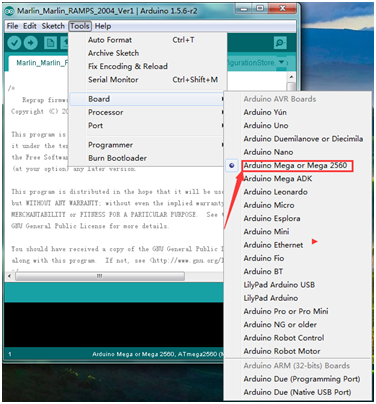 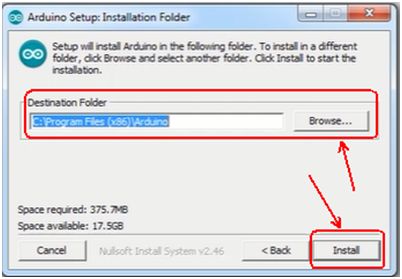 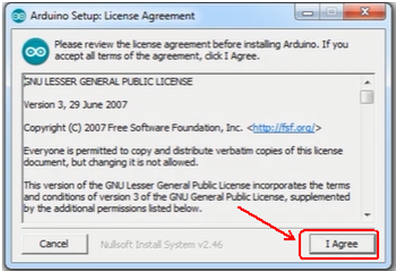 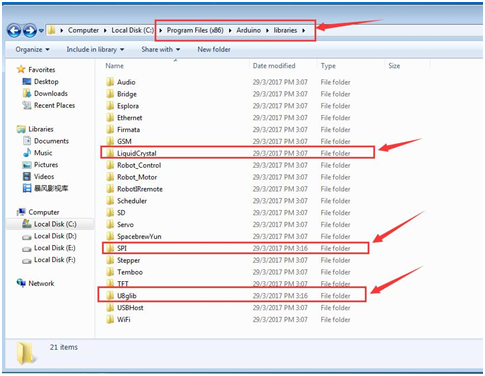 You must close Arduino IDE firstly, and then place three libraries LiquidCrystal, SPI and U8glib from Marlin_Marlin_v1 → ArduinoAddons → Arduino_1.x.x → libraries into Arduino/libraries. 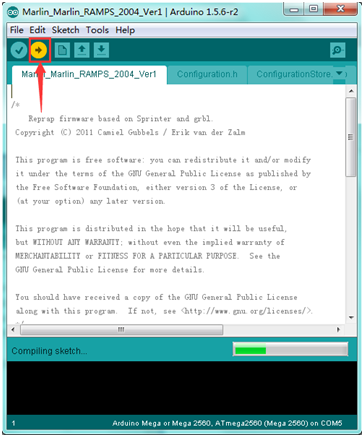 Enter Marlin_Marlin_RAMPS_2004_Ver1 this folder, double click Marlin_Marlin_RAMPS_2004_Ver1.ino this file, finally click “Tools” to set “Board”and “Port”. 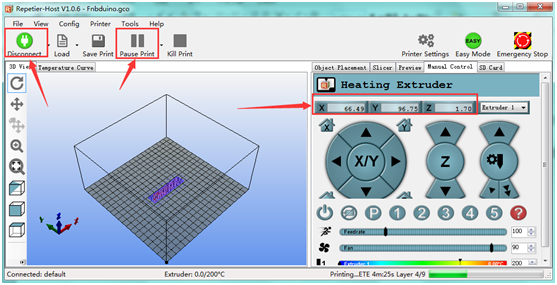 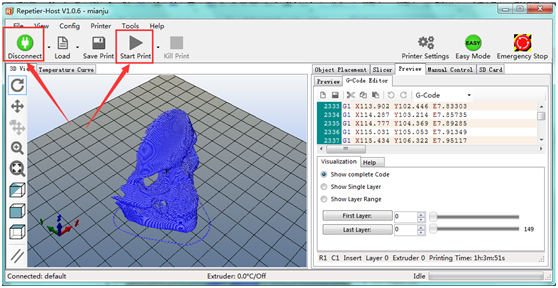 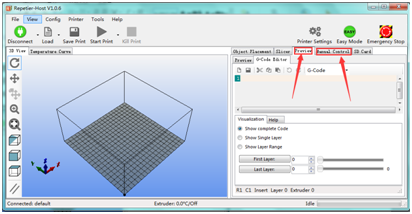 e. After slicing, go to Preview→G-Code Editor, copy G-Code to SD card, and then insert the card into the main board. 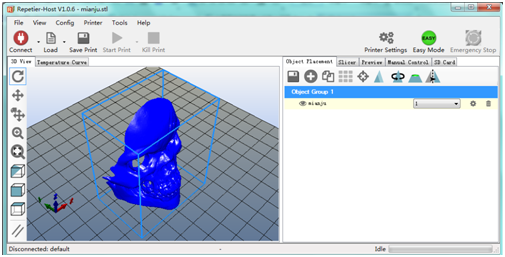 It is time to kick off the print! 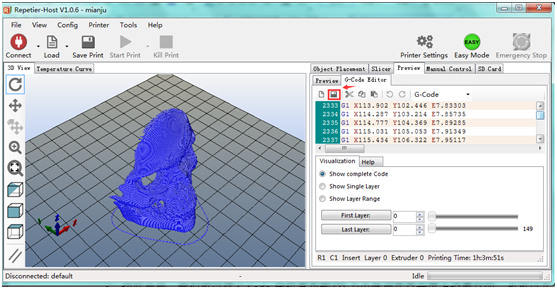 Though the LCD screen go to: Print from SD→Desired File. 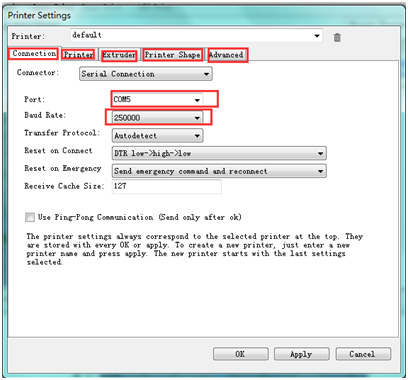 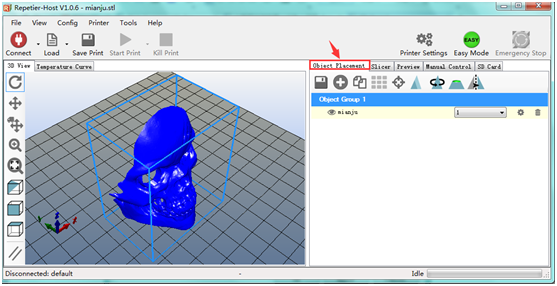 Or you can connect your 3D printer to computer using a USB cable to start the print. 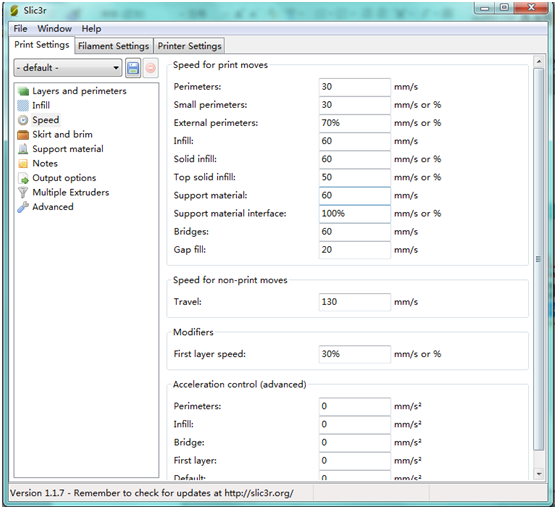 This page was last edited on 24 April 2019, at 13:34.